A good foot soak can be a relaxing way to end the day, and if you soak your feet in apple cider vinegar, the results will amaze you! 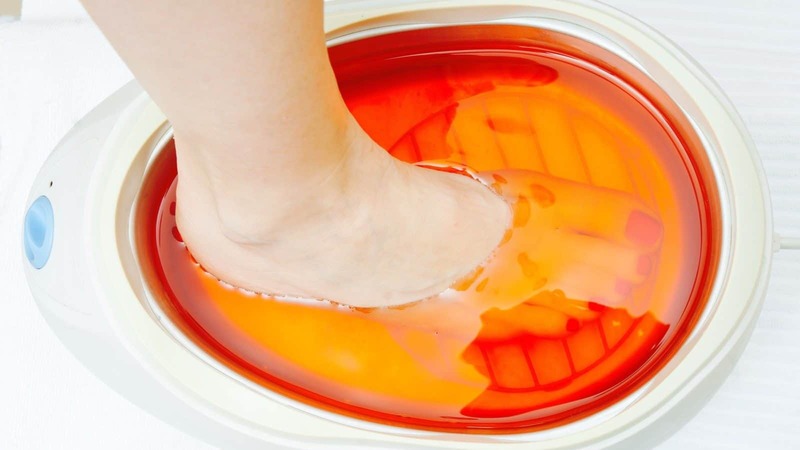 Foot washing and soaking is a soothing act of self-care that you can indulge in, and it will benefit you especially if you feel the effects of some health conditions that the vinegar will help you with. Ah! Relax those tired toes in a warm or cool bath of apple cider vinegar at the end of a day to clean, exfoliate, and heal your feet. Vinegar is a mild acid that can help slough off dead skin and refresh your feet, and apple cider vinegar is one of the vinegars with the most pleasing scent. When you ship for Apple cider vinegar, there are different varieties, but make sure to purchase one that has some of the ‘mother’ floating around at the bottom of the bottle. This stuff that looks like it should have been filtered out is actually a highly beneficial part of the vinegar. Use a tub that your feet fit comfortably in and fill it about two-thirds full with warm water from the tap; warm enough that you feel comfortable, but not too hot for your skin. If it is a hot day and you need to cool down, you can use cool water as well for the foot soak. Use only a half-cup to 1 cup of apple cider vinegar to the amount of water in a typical footbath tub. Soak your feet for up to 30 minutes. Apple cider vinegar has a faint scent that fades after you take your feet out of the foot soak, you can rinse them with cool, clean water or you can let them dry naturally. Teresa J. Kelechi, CNS, and Sally Stroud, NP also say ‘Research shows that 2 percent to 3 percent acetic acid in vitro inhibits the growth of Pseudomonas aeruginosa, Staphylococcus aureus, Proteus mirabilis and Streptococcus pyogenes.’ Killing bacteria that we may carry into our homes from our feet is also a great reason to try a foot soak in an apple cider vinegar solution. Because apple cider vinegar is a mild acid, you need to be careful of how your skin will react to being in contact with it. Remove your feet from the bath and rinse them with water if you begin to have a skin reaction that feels like it is burning or itching. 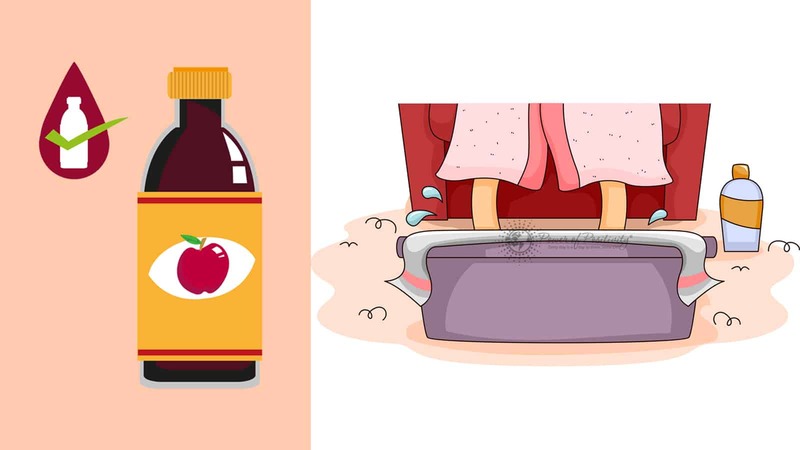 Can we absorb apple cider vinegar through our skin and get health benefits from it? We do absorb many things through our skin, including oils, cosmetics, toxic substances, and vitamins. The beneficial minerals and enzymes of apple cider vinegar may also be something we can take in through the skin of our feet. Talking about the health benefits of apple cider vinegar, researchers in Life Science Journal say ‘Apple cider vinegar has been traditionally used since many years ago to treat a certain number of diseases including hyperlipidemia which is known as a risk factor for atherosclerosis. Early prevention and treatment of atherosclerosis can prevent complications of cardiovascular diseases.’ Whether or not absorbing apple cider vinegar through a foot soak will help reduce your risk of heart or artery disease is unlikely, but you can also read this related article for more on the health benefits of drinking it instead.